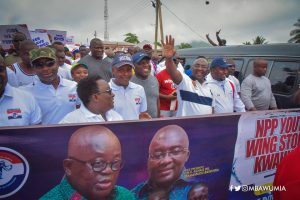 The two former presidents met over the former’s intent to lead NDC again, centring their discussions on the re-organization of the party, the executives’ elections as well as the presidential primaries for the party. Mr Rawlings posited that the destruction of the party begun especially when the party unduly interfered in the last competitive Presidential Primary elections in Sunyani by the systemic monetization of the process and the postponement of the Congress on two occasions ostensibly to favour one candidate over the others. MyNewsGH.com has however obtained an audio interview of Mr Rawlings in which he said former president John Mahama squandered his chance when he had in 2016. “There was something I said early on when we lost power. They tilted my words…” Rawlings began.